There is no greater challenge facing our community than the housing crisis. It will be the biggest single issue at the local elections on May 3rd. Housing is a human right. Everyone and every family deserves a decent home -; a home that is secure and affordable -; a home where they can put down roots. But in Lewisham today, thousands of residents are suffering from the Tory housing crisis. A generation is facing rocketing rents and insecurity in the private rented sector. For many young people in Lewisham, the thought of buying a home in the community where they are growing up is an increasingly distant dream. When the Tories talk of ‘affordable’ housing, we know that it is not affordable for too many people. And under the Tories, homelessness has rocketed and -; in one of the wealthiest cities in the world -; rough sleeping has trebled. We don’t have to live like this. Tackling the housing crisis means taking bold decisions, and staying true to our values. It means taking on greedy developers and rogue landlords. Lewisham Labour has a strong record on housing. I’m proud that we’ve just approved our 500th council home, and we’ve renovated thousands of council homes across Lewisham. We’ve introduced a targeted landlord licensing scheme. We’ve brought over 100 homes back into council ownership, and our innovative Place Ladywell scheme is providing high-quality accommodation for homeless families. But we need to do much more. We have over 10,000 households on the council waiting list and 2,000 homeless households. I know what this means from personal experience. When I was 14, my mum, my sister and I were made homeless. Council housing was our lifeline. That experience -; and seeing how so many families are suffering in Lewisham -; is what drives me. So we need to do much more to tackle the Tory housing crisis. Over the last three months, I’ve been working with our 54 Councillor candidates, with hundreds of local Labour Party members, and with community groups to develop a radical manifesto to transform Lewisham for the many, not the few. We will build the homes we need; delivering 1,000 new social homes in the biggest social housing programme seen in Lewisham decades. 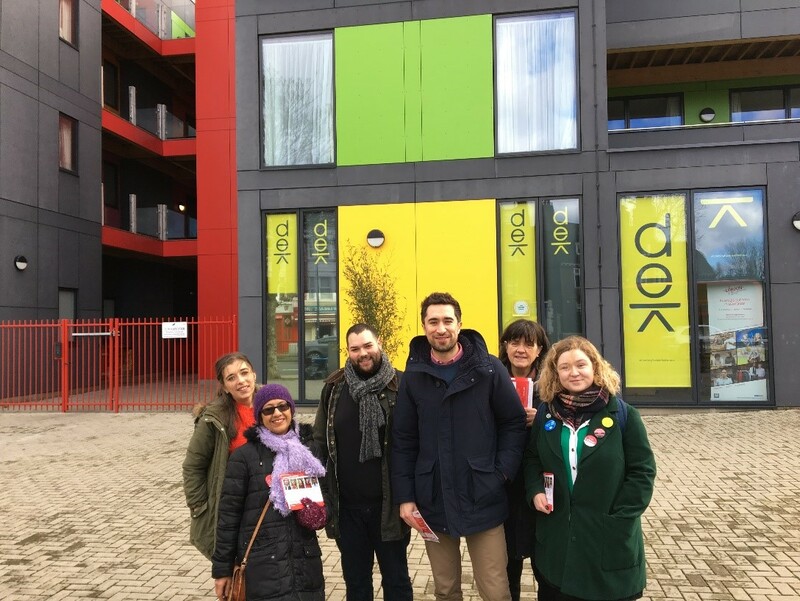 We will build a new generation of council-owned homes for private rents providing long-term tenancies, up to 10 years, with rent controls, and we will build four more innovative pop-up housing schemes like PLACE Ladywell to house homeless families. We will crack down on rogue landlords who exploit tenants in the private rented sector by launching a new Private Renters Union to help people enforce their rights and seeking to deliver a borough-wide landlord licencing scheme. We will stand up to private developers, by publishing viability statements to ensure transparency, pushing to achieve at least 50% genuinely affordable homes on private developments, and not selling private land unless it is in the best interests of the borough. We will introduce ballots on any estate regeneration scheme that includes replacing existing homes and back this up with a Residents Charter that guarantees all residents the right to a new home on their estate, and which guarantees an increase in genuinely affordable housing. We need you to help get the word out there. So please share this on social media. We’ll be out campaigning across Lewisham this weekend, talking to residents about our radical plan to tackle the housing crisis. Find your local session and sign up here. Finally, if you want to join us for the launch of our full manifesto on 8th April, sign up here.